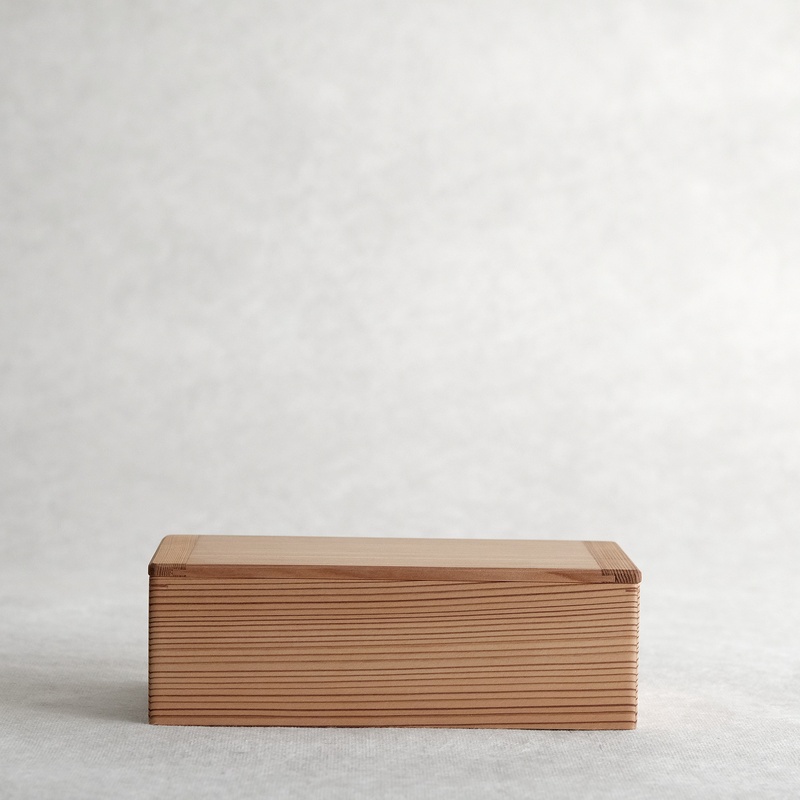 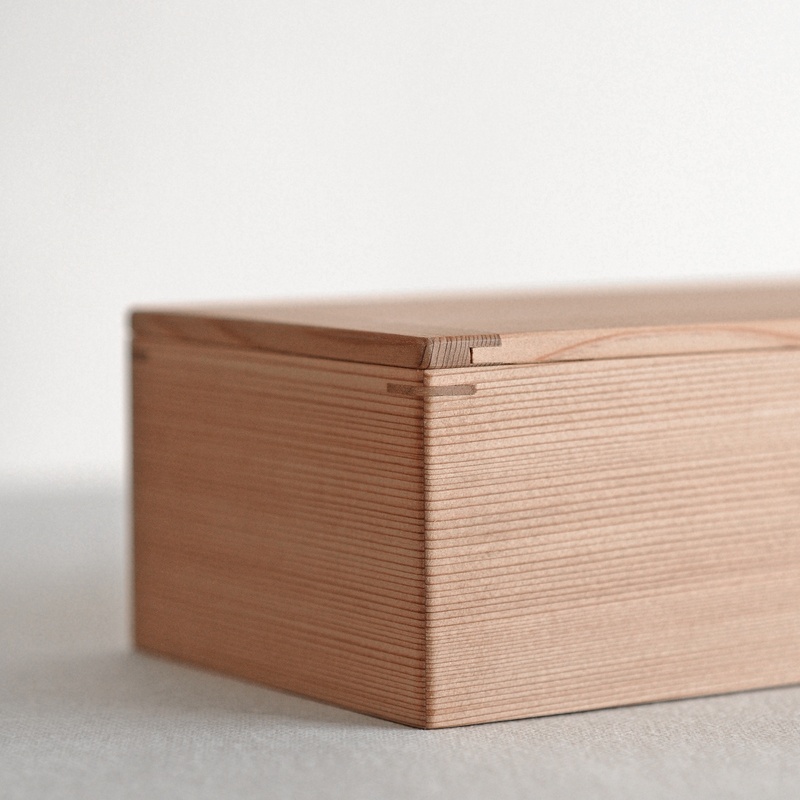 At his workshop in Gifu prefecture, Masaru Kawai hand-crafts his bento boxes from sustainable 200 year old Japanese cedar. 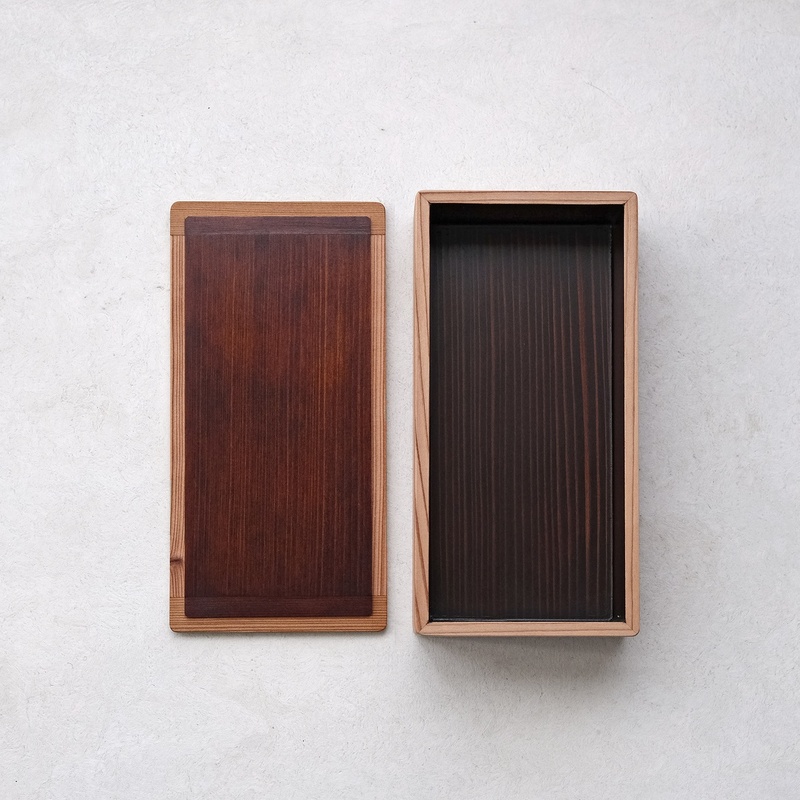 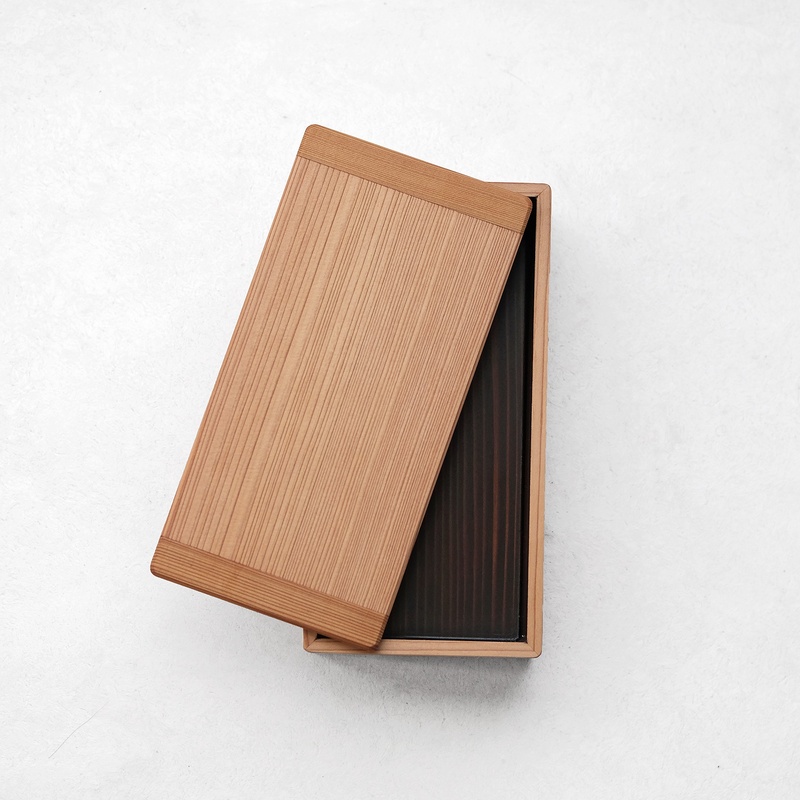 The beautiful straight-lined grain of the exterior of the box is complimented by a contrasting urushi (Japanese lacquer) finish on the interior. 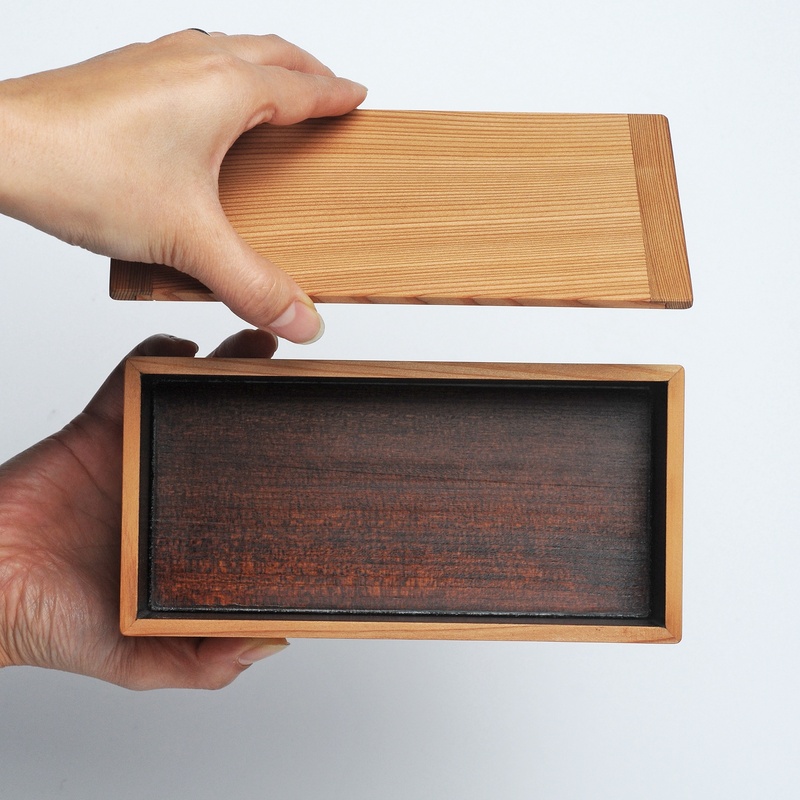 In addition to its visual appeal, the urushi finish also acts as a protective coat on the wood.